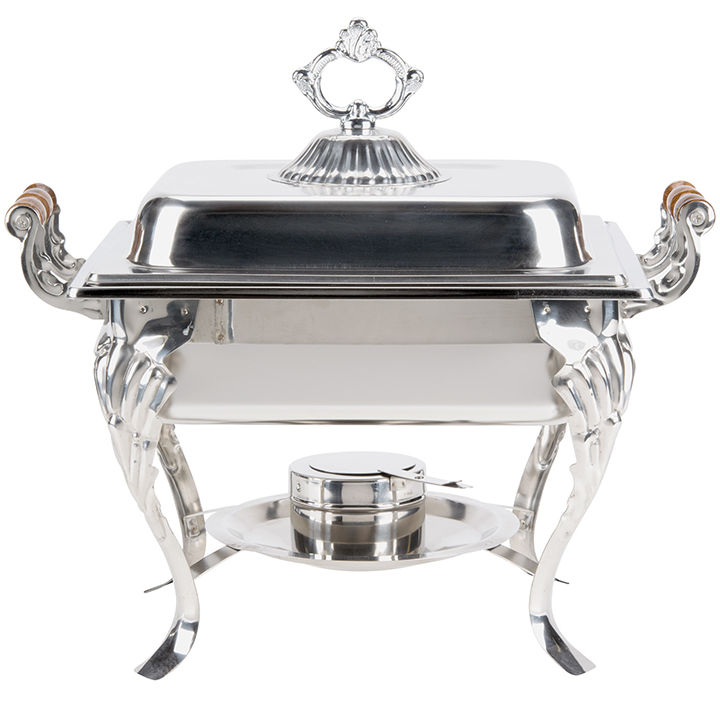 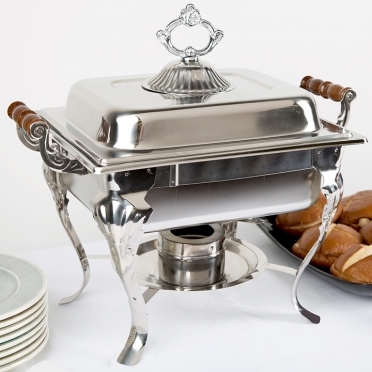 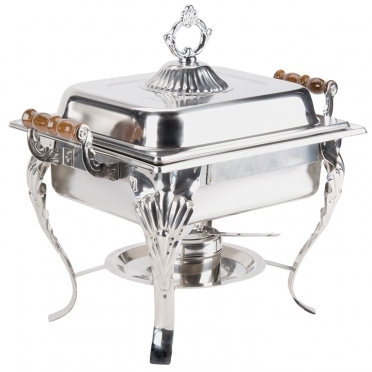 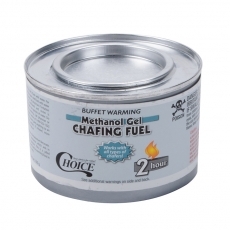 For a smaller dinner party or celebration, this chafer is a smart choice. 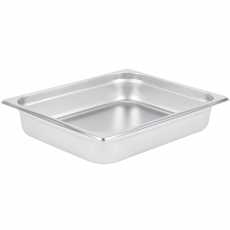 It offers an elegant appearance in a tinier package. 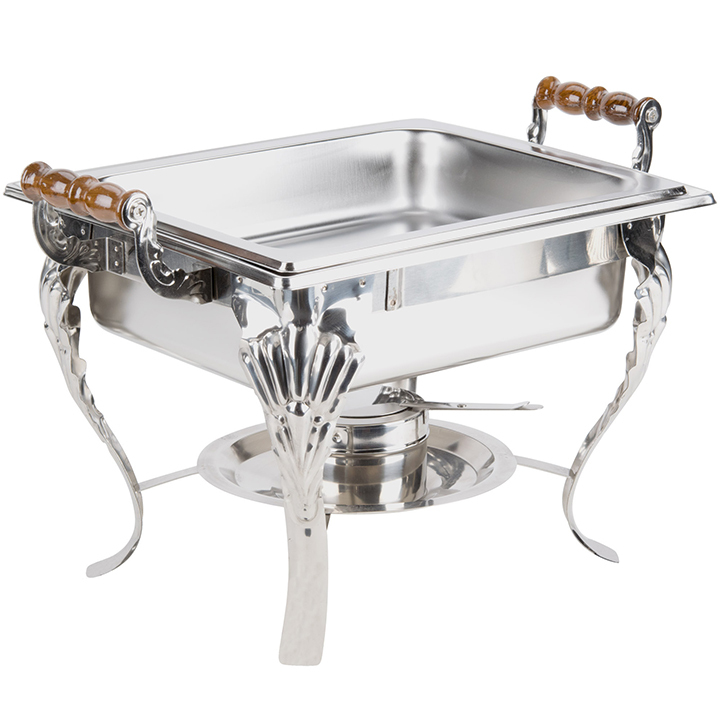 The stainless construction is quite impressive and durable, and the wood handles are smart accents that offset the polished finish and provide comfort to the hands during transport. The overall design is classic and graceful, and the tall legs provide stability on the table.